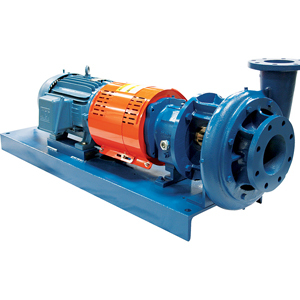 Griswold Pump Company is a manufacturer of quality centrifugal pumps with product lines dating back more than 70 years. Griswold Pump Company offers multiple pump lines including ANSI B73.1M chemical process pumps, end suction centrifugal pumps, self-priming, and submersible/vertical turbine pumps. 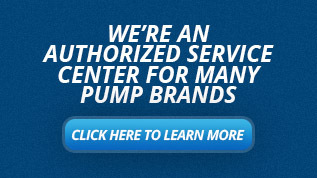 All pumps are designed and manufactured at our facility located in Grand Terrace, California. With pump installations worldwide, Griswold Pumps are hard at work in a broad range of chemical process, industrial and municipal applications. Griswold is committed to providing a quality engineered product to our customers. Our dedicated engineering department is home to application and design engineers, whose focus is new product development and application support our engineering department is also houses our state-of-the-art testing facility. Griswold’s manufacturing facility is both ISO 9001 and ISO 14000 certified. Griswold’s facility includes a clean room for powerframe assembly, CNC Production equipment, and computer-aided balancing equipment. Most importantly Griswold has factory personnel who are dedicated to providing quality pumps, some of whom have over 20 years experience in Griswold manufacturing. All pumps are assembled in the USA to ensure the highest quality. Our facility includes a clean room for powerframe assembly, as well as a state-of-the-art certified testing center (testing to Hydraulic Institute standards). 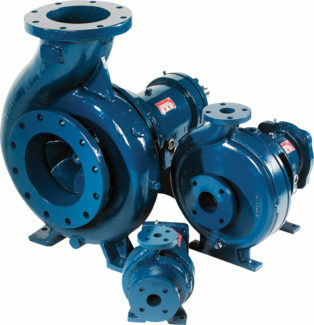 Many Griswold pumps meet the requirements for ATEX, NSF, and CE certifications. The Griswold 811 ANSI centrifugal pump was one of the first pump designs to comply with ANSI standards in the 1970s, and continues to meet or exceed all B73.1M requirements for chemical processing today. The 811 offers a full range of pump sizes, as well as options and upgrades to tailor the 811’s handling to meet virtually any fluid processing application. 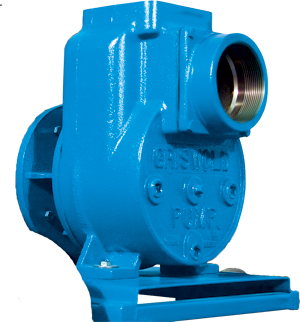 Griswold’s line of 811 ANSI Pumps is engineered for flexibility and durability. The 811 is available in a wide range of sizes, capacities and materials to fit virtually any process fluid application. With over 30 selections and multiple design options, we’ve got your application covered—for abrasive and corrosive substances, and capacities ranging from 4 through 7000 gallons per minute. The 811 pump line and wearing parts interchange quickly and seamlessly with a variety of ANSI pump models and brands – without piping, baseplate or coupling changes. Griswold’s E,F&G centrifugal pumps are designed for versatility. With a broad range of sizes and configuration options and extensive performance features, the E,F&G Series proves ideal for most water pumping applications. E,F&G Series is equipped with your choice of either close-coupled NEMA electric motors or frame mounted with coupling to electric motors, engines, steam turbines or even belt-driven options. The E,F&G’s 360 degree mounting capabilities greatly extend installation options. Close-coupled configurations can be mounted vertically when space is at a premium. The E,F&G’s back pull-out design permits removal of the pump assembly for easy maintenance without disturbing pipe connections. All E,F&G models are flanged in accordance with ANSI B 16.1 for 125 PSI applications. Griswold’s self-priming centrifugal pumps are designed for a variety of applications. For example, they can be used for draining barges and tank cars, dewatering mines or underground storage facilities. Homeowners use them for sprinkler systems and swimming pools. When it comes to moving water from one place to another, there’s no end to the jobs that a Griswold Self-Priming Pump can handle. Griswold’s H series offers options other high head self-priming pumps don’t. Ideally suited for turf irrigation, fire protection, swimming pool, industrial, marine and general transfer applications where greater flows and higher heads are needed. Available in 3, 5, 7½, 10, 15 and 20 horsepower.